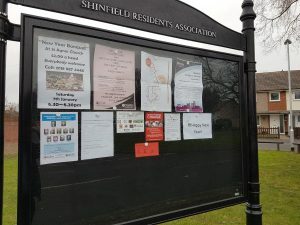 Two notice boards that have been unused for the past few years have recently been brought back into use after pressure from Councillors. 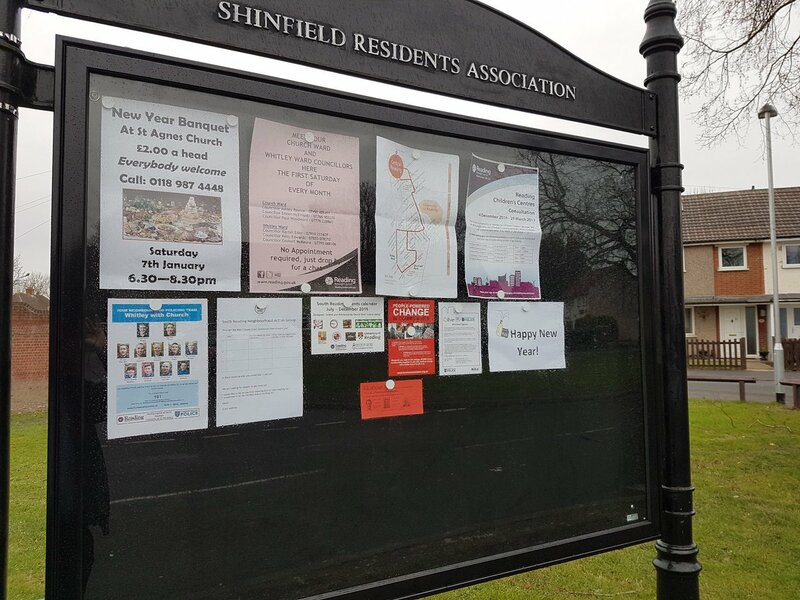 The disused notice boards both off of Linden Road have been revamped thanks to Affinity housing and Reading Council and will now hold relevant local information to help keep residents informed. If you would like any information to be displayed please contact Ashley to let him know.